In terms of area covered, many Californians would be surprised to find out the largest lake in our state is not Lake Tahoe. 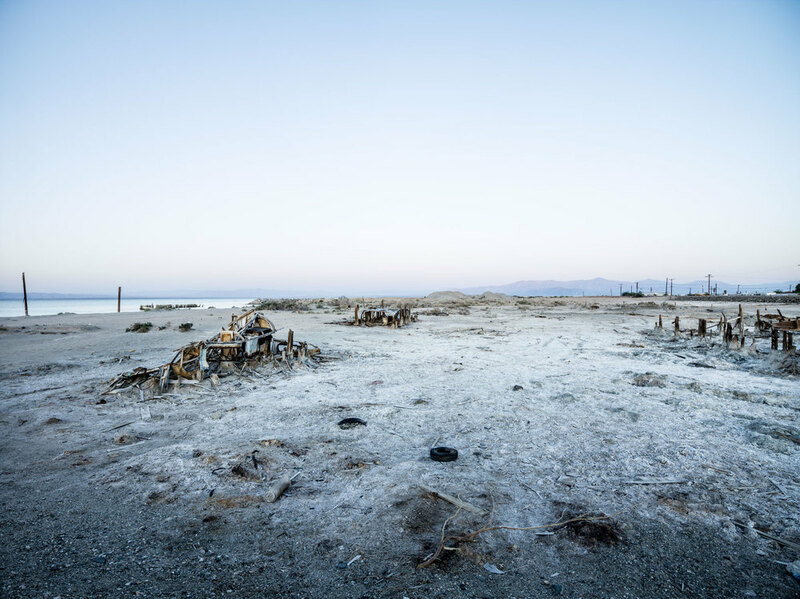 About an hour south of Palm Desert, CA you will find the Salton Sea. 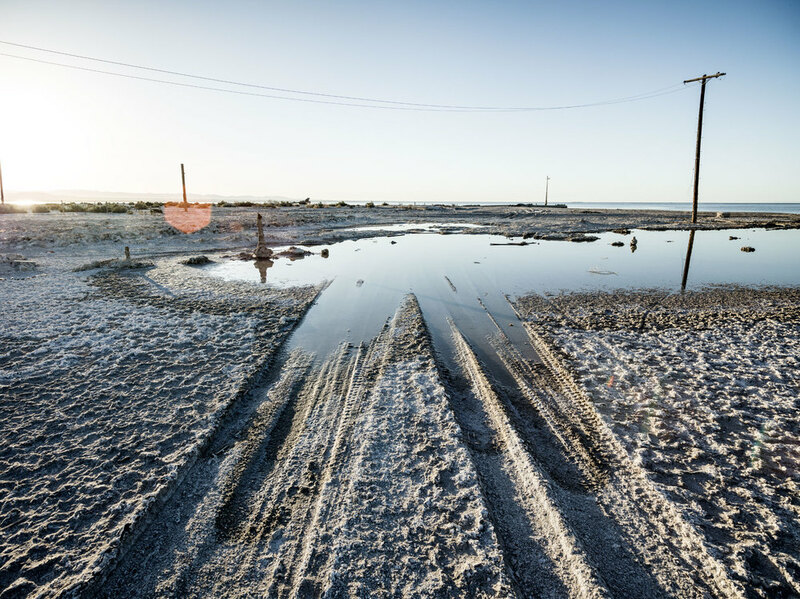 Since its inception in 1905, the Salton Sea has had more than its fair share of drama. A new lake of that size causes issues both good and bad for residents, farmers, wildlife, railway, water supplies, etc. In the 1950’s, some resort areas were successful. 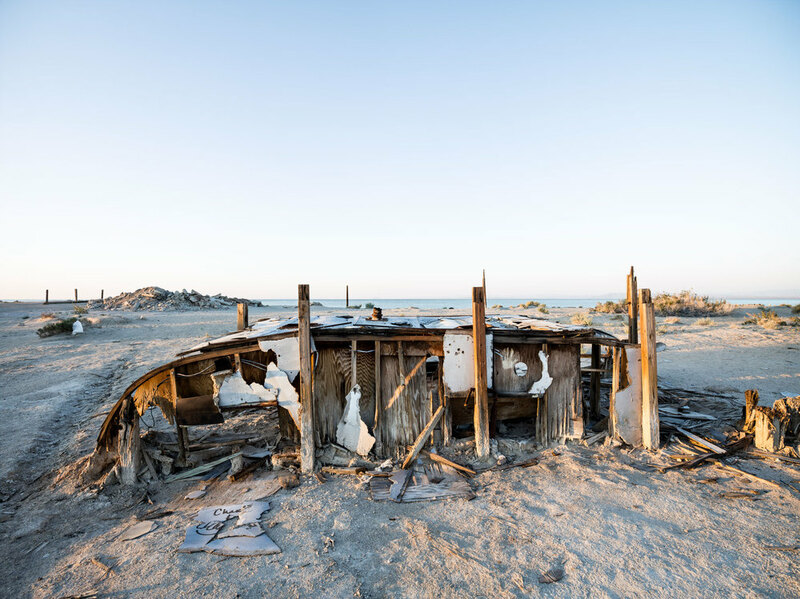 The images seen here are from Bombay Beach, created in April 2013. 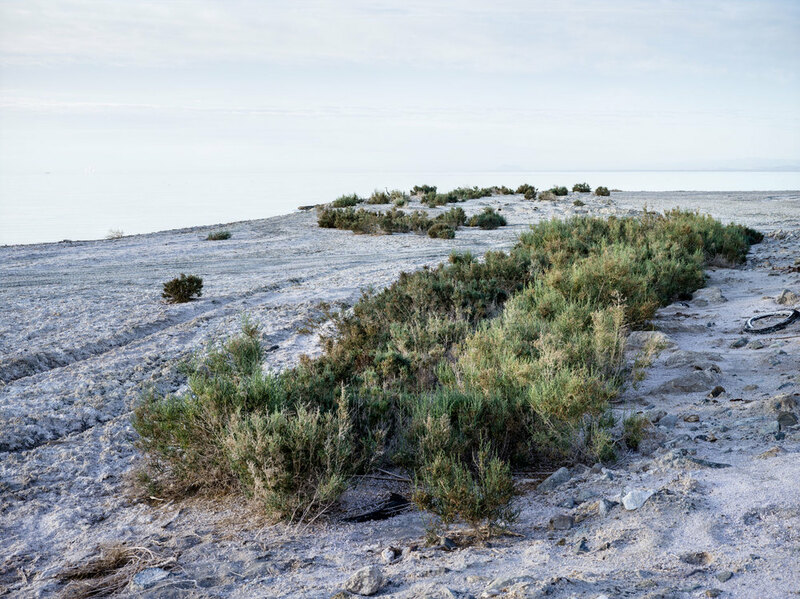 The surface is approximately 226 ft below sea level, and the deepest point is 5 ft higher than the lowest point of Death Valley. This makes it one of the lowest spots on the planet. 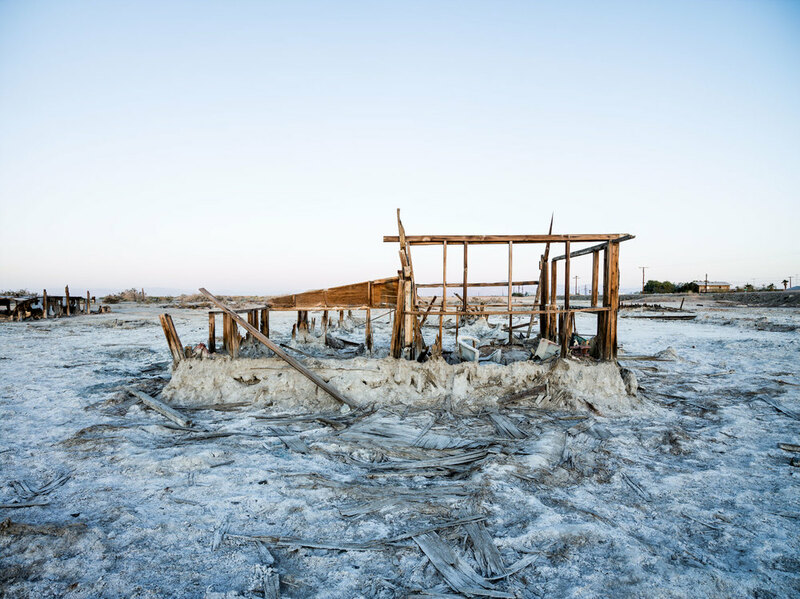 The Colorado River created the Salton Sea in 1905 due to flooding. For about two years after the canal gates crashed, water continued pouring in. 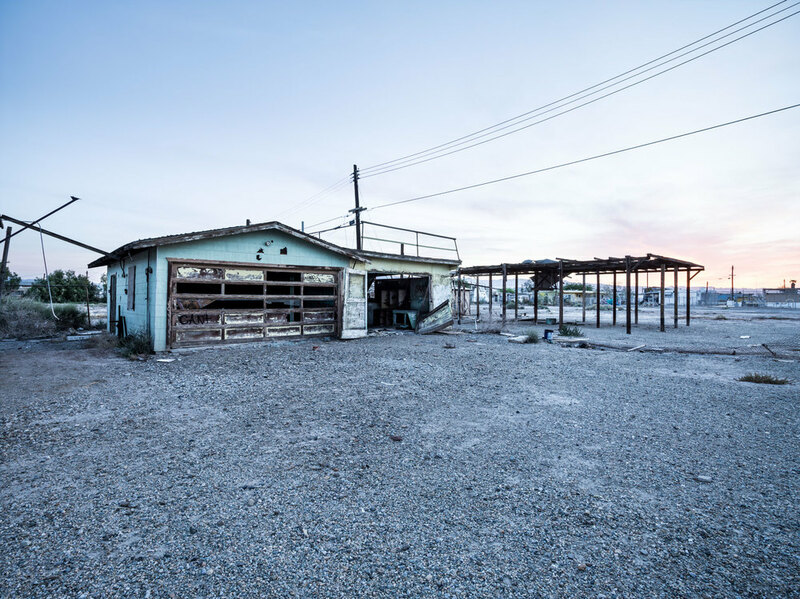 With an elevation of 223 ft below sea level, Bombay Beach is the lowest city in America. 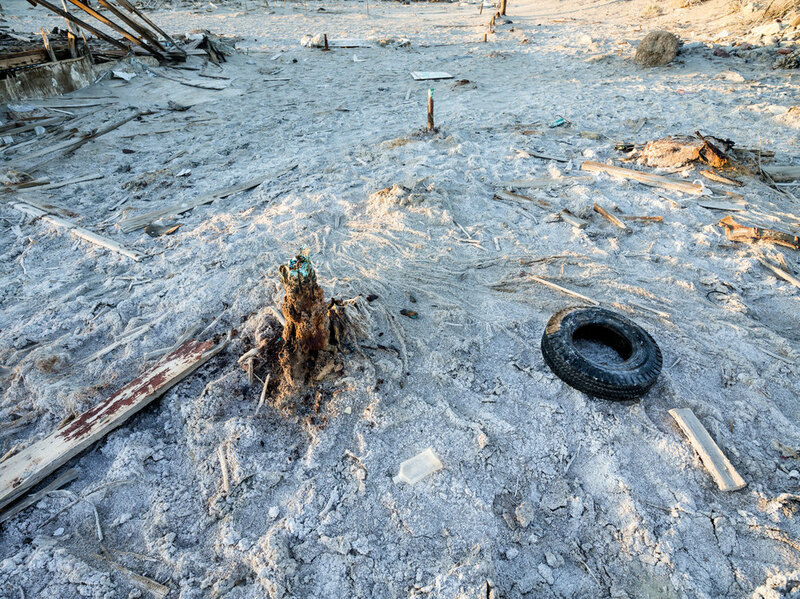 Much of the resort town infrastructure surrounding the lake has been devastated over the past decades from continuous changes in water levels. Images created even just a few years prior look very different from what can be seen today.